The brake system in your heavy-duty Mack® truck has one job: to keep you and everyone around you safe when it brings your truck to a stop. Whether you’re carrying heavy loads up and down steep grades or navigating back roads on regional hauls, your brakes are precision-engineered for pure performance and are built to last. But it’s hard work to halt forty tons of loaded truck. Heavy friction and pressure put wear and tear on your brake system components. Without proper preventive maintenance they can fail, leading to dangerous conditions like reduced braking capacity and increased stopping distance. At the very least you’re looking at serious downtime and costly repairs, in addition to citations if you’re caught by a roadside inspector. Each year in the United States and Canada, almost half of the out-of-service violations cited during roadside inspections are brake-related. Top violations related to brakes include brake hose and tubing chafing or kinking, and having brakes out of adjustment. In the U.S., each brake violation can result in four or more severity points on your Compliance, Safety, Accountability (CSA) carrier safety rating, which can rack up quickly and potentially attract the attention of the State or U.S. Department of Transportation if you’re a repeat offender. Similar safety programs exist in Canadian provinces. To encourage drivers to keep their brake systems in shape, the Commercial Vehicle Safety Alliance will hold its annual Brake Safety Week September 11-17 in the U.S. and Canada. Roadside inspectors will focus heavily on brake system components to identify loose or missing parts; air or hydraulic fluid leaks; and cracked, damaged or worn linings, pads, drums or rotors. Inspectors will also check ABS malfunction indicator lamps and measure pushrod stroke, where applicable. In 2015, 18,817 vehicles were inspected during Brake Safety Week alone. For more information on CVSA’s Operation Airbrake campaign and Brake Safety Week, click here. If you’re pulled over by a roadside inspector, be ready. 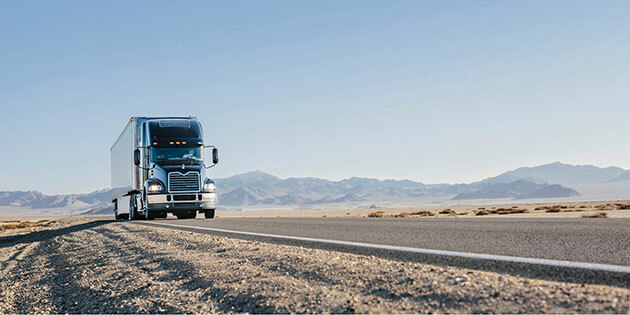 Before each trip, check the brakes on your truck by looking for component damage, listening for air leaks, checking low air signals and by measuring pushrod stroke if you can get under your vehicle. And make a full brake system inspection part of each preventive maintenance visit at your nearest Mack Trucks dealership. Our factory-trained technicians can help you find the best OEM and remanufactured replacement brake system parts for your specific application, including OE, RSD Certified Road Choice™ brake chamber and brake drum components. Or order online through the SELECT Part Store™ for immediate stock confirmation and fast delivery – often the same day.